Junkers aircrafts all over the world. The fascination. 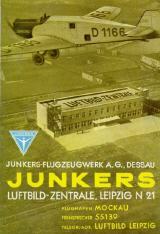 Junkers aviator watches. For all those who feel this adventurous spirit in themselves, these Junkers flying watches series was created, a watch collection full of love for detail: Elaborate dials, tube-lights, stainless steel or titanium housing and movements, which will let the hearts of watch fans beat faster!